Take in the stunning views Fiordland has on offer from a luxury seat in the sky. Bring your camera to get some great photos throughout your day so you can relive the best moments of your adventure. Commentary throughout the experience about the local surroundings. Complimentary transfers before and after your experience. 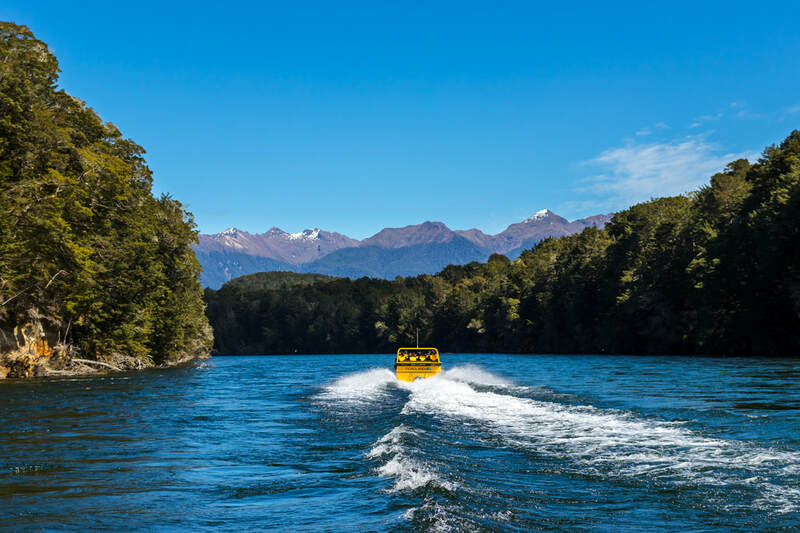 Jet boat down the river, then soar up above Fiordland and marvel at the unforgettable views across Fiordland National Park. After an incredible Pure Wilderness jet boat trip down the Waiau River to Lake Manapouri, prepare for even more adventure as your heli picks you up in VIP fashion from the shore of the river. Buckle in for even more thrills as you soar across the Kepler Mountain Range and Lake Te Anau. Enjoy a remote landing and marvel at the stunning scenery and magnificent panoramic views of Fiordland National Park. Feel untouchable as you fly across ancient forests, and the incredibly unique environment of Fiordland National Park. Take the path less travelled, go somewhere pristine and untouched, book your adventure from the river to the sky today.